Bentley Bentayga, the uber niche premium SUV, was totoally new direction for the luxury car manufacturer. Back when the Bentley Bentayga was launched, the SUV was offered with an all-new twin-turbocharged 6.0-litre W12 motor that made 608PS/900Nm. Then came the V8 petrol that puts out 500PS/770Nm. And now the company has launched the Bentley Bentayga Hybrid which offers a claimed driving range of 50km and has a charging time of 2.5 hours. Powering the Bentley Bentayga Hybrid a turbocharged 3.0-litre V6 that works in tandem with a electric motor. 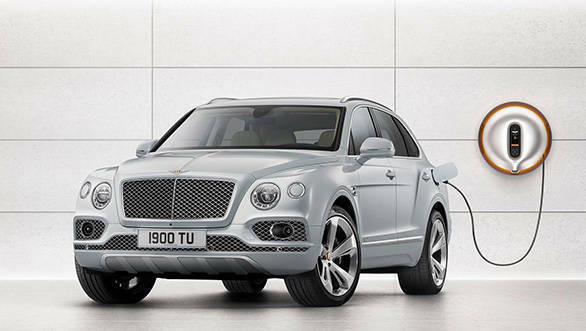 Bentley has still not let out details on the battery capacity, power output and also the fuel economy of the Bentayga Hybrid but then it is being said that it will be significantly higher than the present offering. Similar to the other hybrids, the E Motor in the Bentley Bentayga acts as both electric motor and a generator. The Bentley Bentayga Hybrid comes with four driving modes namely Sport, Bentley, Comfort and Custom. In addition to that there are three new drive as well. These modes are EV drive which will be a pure electric, Hybrid and Hold mode where one can hold the battery power for later use. 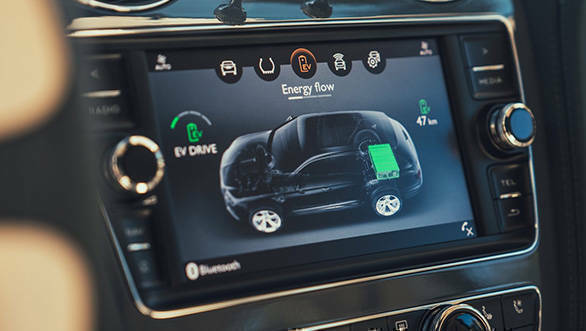 The Bentley Bentayga Hybrid comes with a revised instrument cluster with EV mode and a new infotainment system. 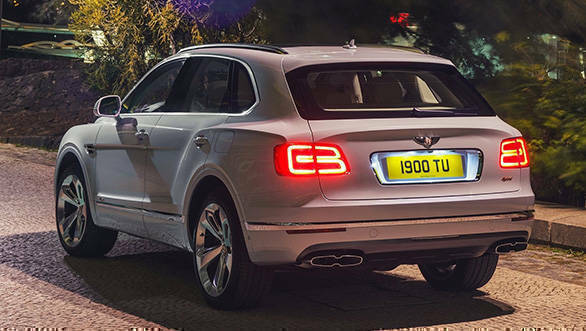 A standard outlet can charge the Bentayga Hybrid completely in 7.5 hours. However, one can opt for the special in-home charger than charges the vehicle in 2.5 hours flat. Bentley has partnered with designer Philippe Starck for the custom charger and it looks really impressive.